Of course, someone else could theoretically take ownership of the beloved meat purveyor, and Samuel Mussovic believes he’s the guy. Mussovic, who says he’s a former dishwasher at the deli, supposedly wants to give Levine an offer she can’t refuse. “[Mussovic and his team] will hand-deliver a letter to the deli with an agreement to give $5 million and a percentage of future proceeds to the current owner,” a statement said according to the New York Daily News. The plan is to raise that money through a “petition drive” and other fundraising efforts. Apparently, Mussovic hasn’t heard about Kickstarter; hand-delivering things is so 79-years-ago. Just why Mussovic believes his dishwashing credentials make him the man to raise that much dough isn’t entirely evident. And no there’s indication that Levine put the price for her decades of hard work at $5 million to begin with. As Eater points out, evidence probably points to the contrary: Though the original location is closing, the brand will still be going strong with licensed Carnegie Deli locations in Vegas and Bethlehem, PA, as well as a mail-order business and a Madison Square Garden Kiosk – meaning Levine would want to make sure that any new owner didn’t run her mini-empire into the ground. Related: WHAT'S THE SECRET TO THE PERFECT REUBEN? With three months still to go until the set closing date of December 31, it’s not unthinkable that someone would step in to keep the deli running. As far as offers go though, it seems like Levine may want to wait for something with a little more meat. 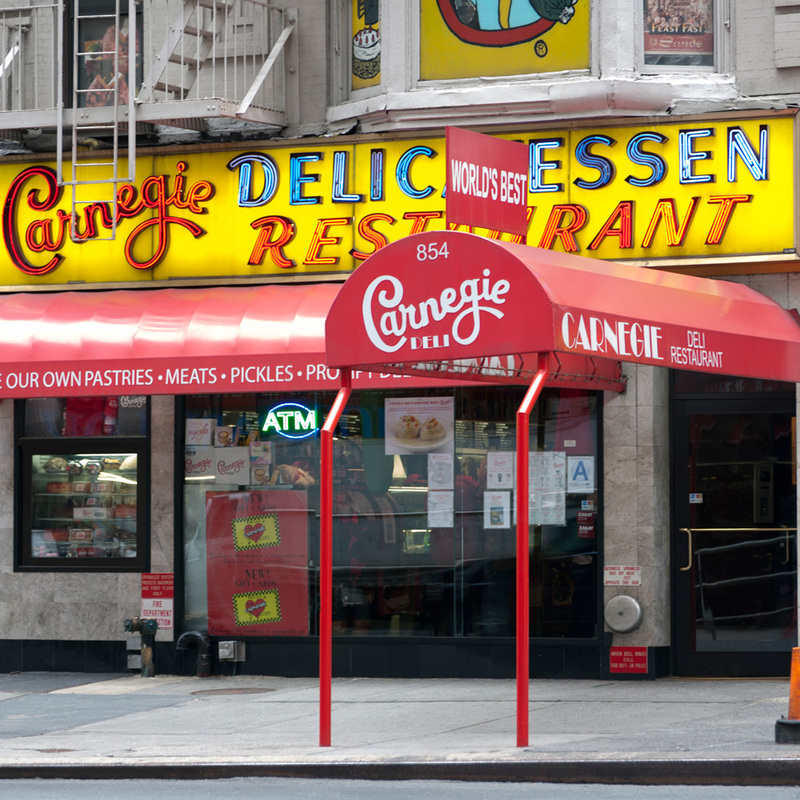 It’s the Carnegie Deli way.